giant with eyes 180' apart looking down on the Empress Hotel. The Magic really happens when you try to touch The Empress. 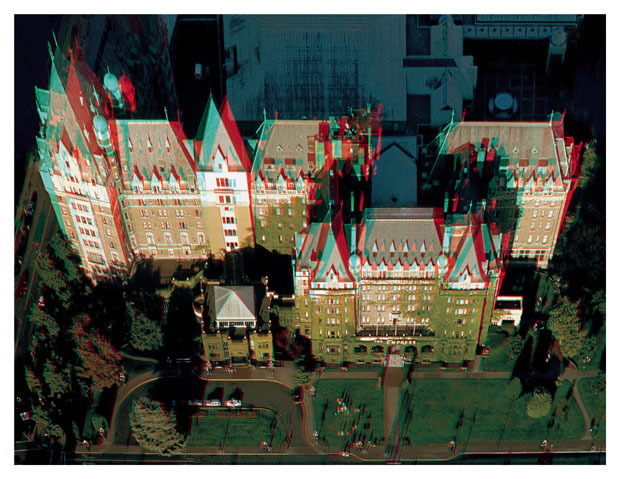 Anaglyph glasses required to view. not nearly as dramatic as when viewed correctly from a 45 degree angle.